Each project will have two days to finish them. Set up your sewing station on Saturday and leave it to sew again on Sunday. This class is open to all brands of sewing machines, but if you not using a BERNINA, please bring your manual in case trouble shooting is necessary. 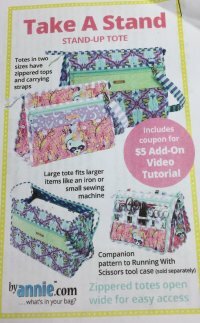 ByAnnie's Soft and Stable®, an innovative product she designed to add body, stability and a professional finish to purses, bags, home dec items, and more. 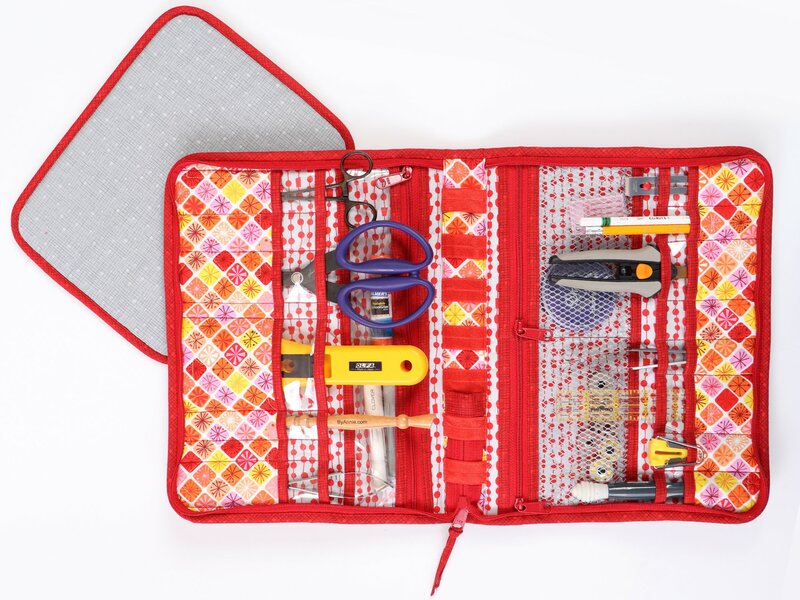 With a focus on practical and useful projects, Annie's patterns appeal to a sewists of all ages and levels and serve as a great base for classes. March's Project is called Running With Scissors. You also have the opportunity to make the companion project called Take a Stand. Click this link to watch a video about your project! Before Class, please come with your pieces quilted. If you are new to sewing and don't know how to sandwich fabric pieces, "lining, soft & stable and main fabric" with quilting call the shop for help.